Long-term data are critical to understanding and predicting the effects of environmental change that may act on decadal to multi-decadal scales. 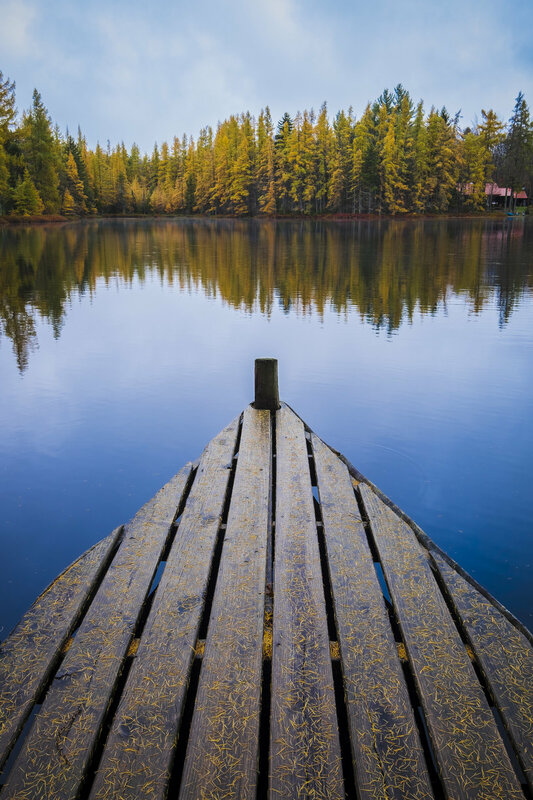 In a rapidly changing world many of our lakes and rivers are experiencing long-term changes that can alter biological population, communities or key ecological processes. Documenting and collecting data on these long-term, often slow, changes is important, challenging work. It requires consistent, painstaking collection and curation of data, in good and bad weather, year-in year-out. Long-term observations from lakes can be especially challenging when you add boats, waders, life-vests, and remote field locations to the mix. Despite the challenge, long-term data are essential to being able to understand these changes and help us document how lake ecosystems are changing now and in the future. Our new paper in Scientific Data presents a publicly available, nearly 20-year record of physical, chemical and biological variables in 28 lakes in the Adirondack Mountains of northeastern New York State, USA. Due to its location downwind of large industrial centers and its underlying bedrock the Adirondack region was severely affected by acid rain from 1950’s through the passing of the Clean Air Act in 1990. Most of the mountain region is contained within Adirondack Park, a protected state park. The Adirondack Park is over 24,500 km2 in size; larger than Yellowstone (8900 km2), Yosemite (3075 km2), Glacier (4050 km2), Grand Canyon (4850 km2), and Great Smokies (2025 km2) National parks combined. Instead of a front gate and rangers, the Adirondack Park is a mixture of public and private land managed to preserve the natural beauty of the region. This data collation, cleaning and harmonization effort began on my first day as a post-doctoral researcher at Rensselaer Polytechnic Institute, but my connection to this dataset reaches back much further. 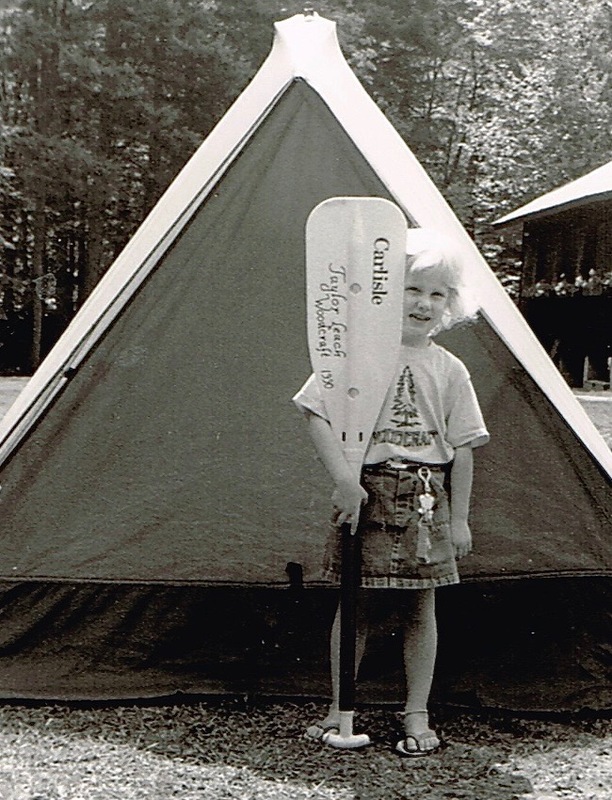 I grew up in the Adirondack Park, canoeing and camping on many of the lakes in this dataset. Back in the 1990’s when I was in grade school, little did I know that some of my co-authors had started visiting my neighborhood to begin documenting changes occurring in the lakes of the Adirondacks. In fact, one of the focal lakes is just down the road from where I grew up. Long-term data collection and maintenance is no easy feat. Researchers collected a wide range of important data, including simple measurements such as water temperature and much harder to collect chemical and biological measurements such as algae and other microscopic plankton. The combined collection effort lasted almost 20 years (and some continues today) and involved dozens of people, helicopters and more than one night spent in the woods. Many of the co-authors on this paper were intimately involved in the data collections and these data would not exist without their efforts. This dataset contains physical, chemical, and biological data from 28 lakes in the Adirondack Mountains from 1994 - 2012 from multiple open and as-yet unpublished data sources. My collaborators and I are excited to make this extraordinary dataset available to the broader community and hope that others can make use of it in the future! 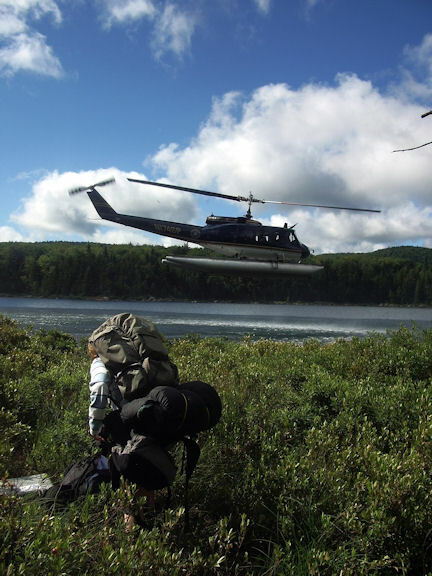 Getting a helicopter ride to sample the most remote lakes in the dataset.